U.S. President, Barack Obama, on Tuesday, said America would suspend duty-free benefits for South Africa on March 15, a move that could cost South Africa up to seven million dollars. He said this in Washington, adding that the suspension was because South Africa failed to meet the requirements of a trade deal. The suspension was seen by analysts as a move to put pressure on Pretoria to loosen its restrictions on U.S. farm exports, especially poultry products. 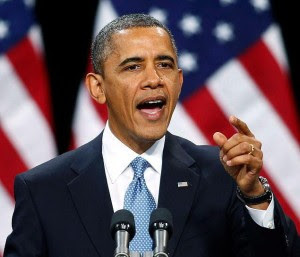 Obama said South Africa had earlier said it was concerned that an outbreak of avian flu in the U.S., which killed nearly 50 million birds, could pose animal and human health risks to its economy. South Africa’s trade ministry has not responded to the comment. It, however, said last week that it was close to striking a deal over farm produce trade with Washington that would see it retain the benefits of the African Growth and Opportunity Act (AGOA). Bart Stemmet, NKC African Economics analyst, said that Obama’s proclamation was likely the stick to go with this warning to lift restrictions. He expressed the hope that the local authorities would also heed to it. Stemmet said he expected a deal to be struck before the March deadline, because Pretoria cannot afford the financial damage a removal from AGOA would have on an already struggling economy. “We are confident that the suspension will ultimately be avoided. AGOA is a U.S. trade agreement designed to help African exporters.